Recently, Prof. Tamir Ben-Hur, Head of the Department of Neurology, made an outstanding presentation to HMO’s medical management. As I watched the slides that detailed the many aspects of care and treatment his department provides and the research they are pursuing, I thought again about how much the discipline has changed in recent years. In the “old days,” neurology was considered a rather low-keyed field. Neurologists were essentially diagnosticians, analyzing patients’ conditions and providing the best tools to assist them. There were no modalities to immediately cope with stroke victims, or those with epilepsy and immune-mediated diseases that weaken the respiratory muscles. Dealing with the soft tissues of the brain was a frightening prospect. Today, neurology and neurologists are infused with excitement. Today, as Prof. Ben-Hur pointed out, neurologists intervene at critical moments with protocols and practices that can and do save lives. Today, they are constantly looking forward, revisiting prior concepts and exploring new avenues of research. Neurological illnesses affect one in every five people. I believe every one of us knows someone, or more than one person, who suffers from the progressive impact of Parkinson Disease, Alzheimer’s, multiple sclerosis or any of the lesser known neurodegenerative diseases. While there are still no know cures, thanks to today’s “new” neurology hope is at hand. Molecular medicine and stem cell science have made a major difference, as have new and sophisticated tools and equipment that have significantly changed neurologists’ ability to effectively intervene. Consider multiple sclerosis, just one of the many neurodegenerative diseases the Neurology Department treats and investigates. Prof. Dimitrios Karussis and his team performed the world’s first clinical trial using the patient’s own stem cells to inhibit the destructive inflammatory process and promote the brain’s recovery. That discovery prompted them to begin preparing for the next stage of clinical trials. The research also involved using the same principle to treat people with amyotrophic lateral sclerosis, also known as Lou Gehrig’s disease. Following conclusive tests on laboratory animals, the research has now moved into a new and exciting phase. A clinical trial on this potential treatment will begin shortly. To accurately measure the effectiveness of treatment and the impact of multiple sclerosis on visual functions, Dr. Netta Levin and her team have developed new visual tests using functional MRI technologies, electrophysiological data and newly designed computerized dynamic visual function tests. They are now developing the concepts and technology to make it applicable for everyday clinical use. 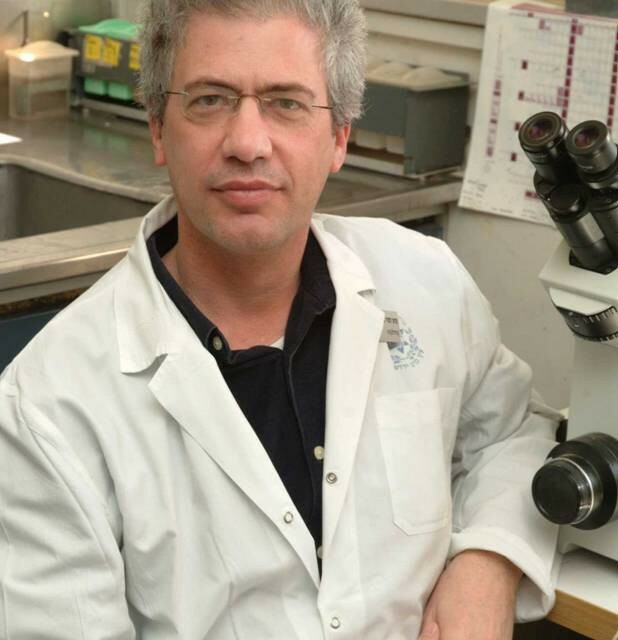 In collaboration with Prof. Benjamin Reubinoff, Prof. Ben-Hur’s team is developing the use of human embryonic stem cells to treat multiple sclerosis. They believe their research will ultimately lead to the world’s first clinical trial to test this use of human embryonic stem cells. About 50,000 people in Israel suffer from epilepsy. This year, Hadassah opened a multidisciplinary Epilepsy Center, the only one in the greater Jerusalem area, where neurologists play a vital role. Again, aided by sophisticated equipment, they diagnose, monitor and provide multi-disciplinary treatment to epilepsy patients. Strokes have a devastating impact on people’s lives and those of their loved ones. Just a short time ago, rehabilitation was their only hope of returning to normal lives. The approach to stroke victims has progressed from providing diagnoses and medications to prevent the next stroke, to the point where frequently doctors can intervene in the acute event and change the outcome significantly. According to Prof. Ben–Hur, the seemingly “simple” things make the difference in the mortality rate. The correct monitoring and maintenance of patient’s blood pressure, body temperature and sugars can produce excellent outcomes. I have mentioned just a few highlights of what prof. Ben-Hur conveyed about the 11 neurology research groups, and the work of the same neurologists in the hospital, in the specialized laboratories, in the clinics at Ein Kerem and on Mt. Scopus, and through hospital-based ambulatory mediciane. The facts and figurees, graphs and charts encompassed every aspect of his department’s activities. His articulate presentation reinforced everyone’s understanding of the energized and effective world of neurology and what Hadassah’s Department of Neurology can offer our patients, now and in the future. I am leaving shortly to attend the HWZOA Midwinter Board meetings and will continue to share my thoughts and impressions when I return. As the move to the Sarah Wetsman Davidson Hopsital Tower comes ever closer and demands more and more attention, I know you will understand why i must cut back on my diary enteries to every other week.